/Image Related /Video Related /Other General Questions /How do I import videos from my local drive into TinyTake? When you double-click a file to open it, Windows examines the file name extension. If Windows recognizes the file name extension, it opens the file in the program that is associated with that file name extension. However, you can change the program that is associated with recognized file name extensions so that Windows opens all files that have this extension in the new associated program. 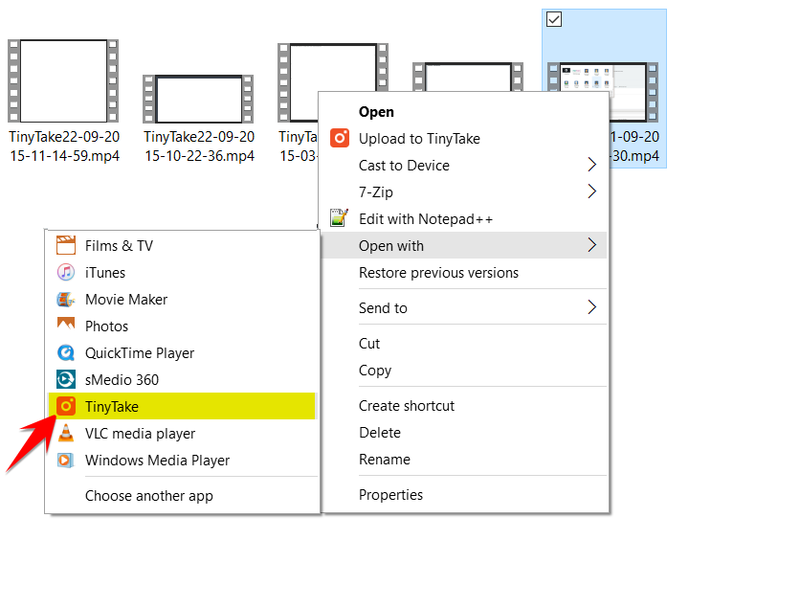 The following steps describe how you can open a video file with TinyTake to enable annotation capabilities. Click Open With then choose TinyTake.